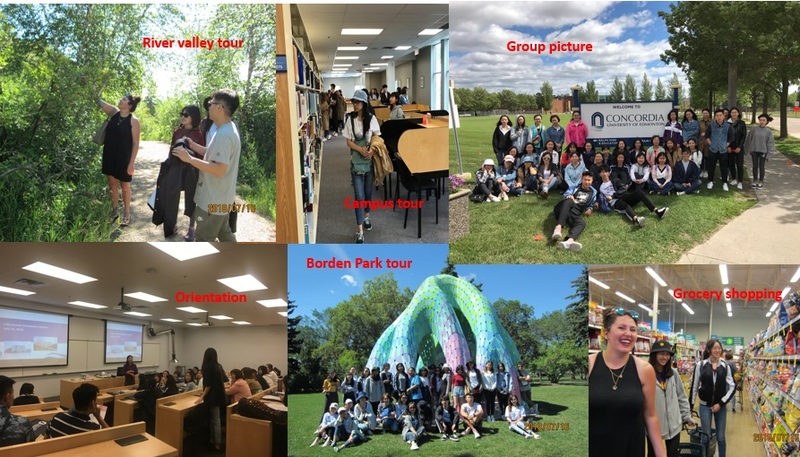 The CCS (Centre for Chinese Studies) Undergraduate Studies Summer Program officially kicked off over the past weekend. 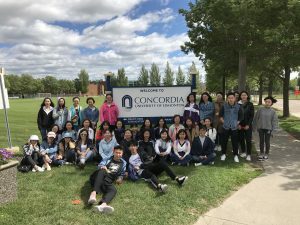 The CCS welcomed 33 students plus 2 supervisors from China. Students came from universities in Beijing, Ji’nan, and Chongqing, namely Capital Normal University, Qilu Normal University, and Southwest University. They will take credited courses in summer term 1 and summer term 2, including ENG 101, PESS 293, and PACT 240. An orientation was held on Saturday morning, and a Moodle training and campus tour were conducted on Saturday afternoon. On Sunday morning, the students had a two-hour walking tour to Kinnarid Ravine along the North Saskatchewan River. They were impressed by all kinds of lovely off-leash dogs (an appropriate way to celebrate the Year of the Dog). On Sunday afternoon, they had another two-hour trip to Borden Park and observed the Borden Natural Swimming Pool that was packed with people (this actually reminded them of the busy pools in China). This is the first time for many of them to study abroad. 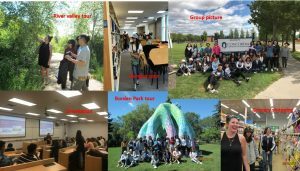 It will be a unique growing experience for them because they need to adjust to the Canadian way of studying and living in a short period of time. Besides language challenges, they will also need to learn about local food, local culture, and learn about independent living on campus. The CCS and the Chinese students would like to thank all the departments at CUE for the preparation of their arrival. The Chinese students are anxious to engage themselves to the classroom study and campus life for the next two months.